And you can see a bit of it this week! 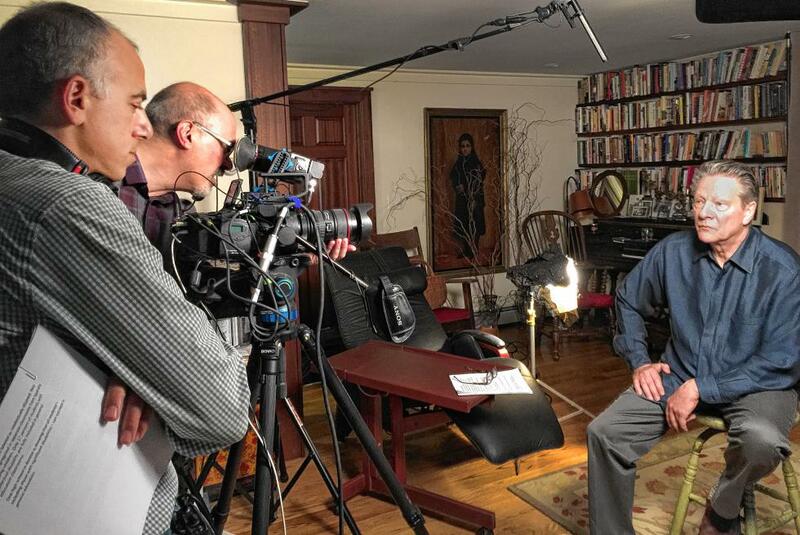 Academy Award winning actor Chris Cooper (right) records narration for the new documentary film Intelligent Lives (working title), directed by Dan Habib of the UNH Institute on Disability (left). Cameraman Steven Ascher is at center. Dan Habib is a guy who has worn a lot of hats over the years. 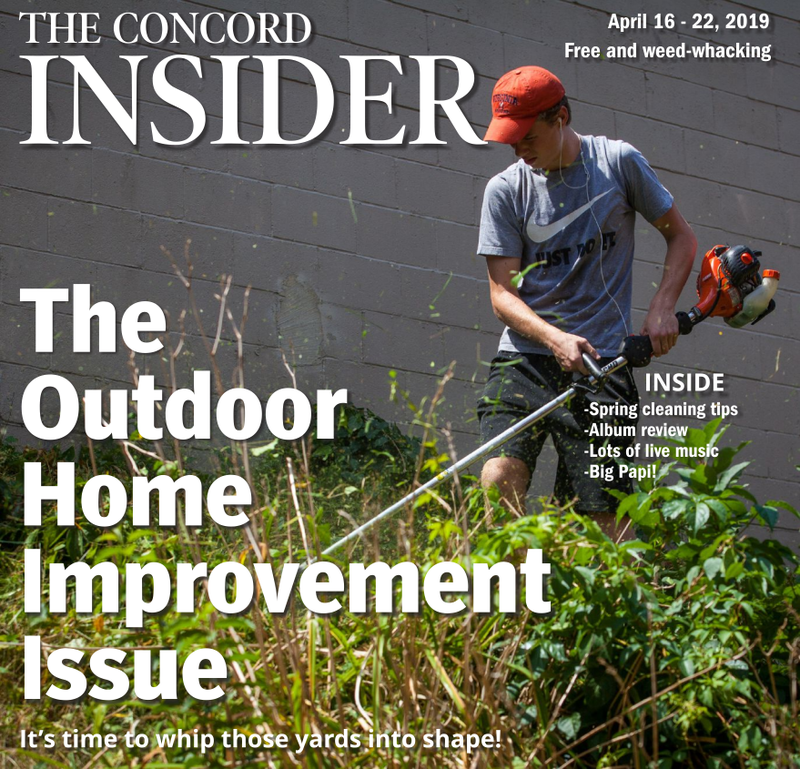 He’s also held many different jobs and titles, including photojournalist, former Monitor photo editor, award-winning documentarian and now filmmaker and project director at the UNH Institute on Disability. Habib made a splash with his debut documentary Including Samuel in 2008. The film was about Habib’s son Samuel and his challenges with living with a disability. Including Samuel was widely praised after it was nationally broadcast on public television, and was nominated for an Emmy in 2010. Suffice it to say, Habib knows a thing or two about making a movie, particularly a documentary. After all, that’s kind of his job. As filmmaker and project director at the UNH Institute on Disability, Habib devotes his time to making films that highlight issues surrounding all types of disabilities. He’s working on another project as we speak, and you’ll get the chance to catch a little preview of it on Wednesday at Red River Theatres at 5 p.m. 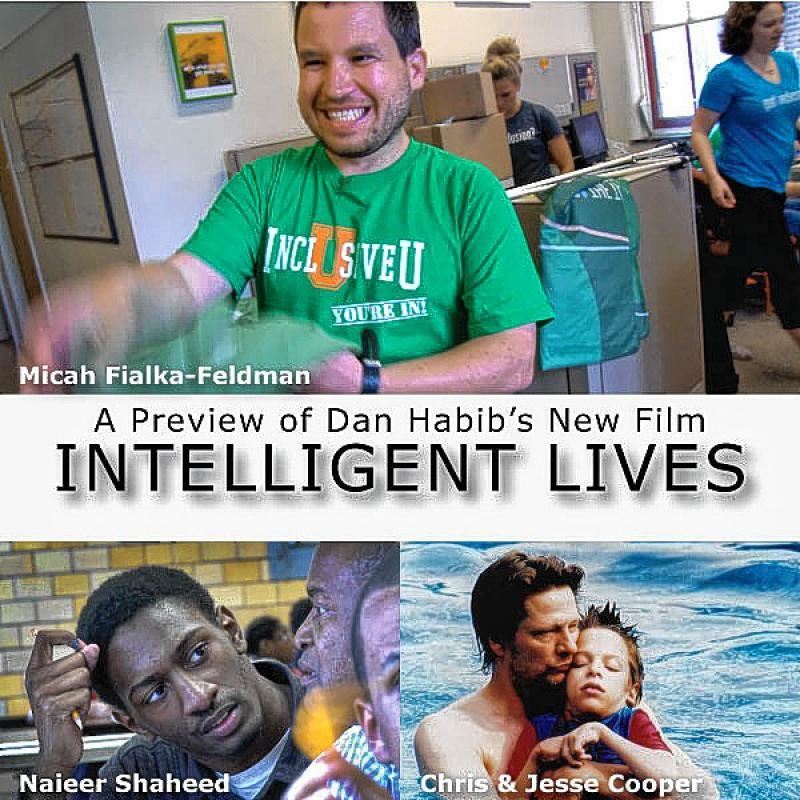 There will be a showing of a 14-minute clip of the film currently titled Intelligent Lives, followed by a discussion with a panel including Habib; Micah Fialka-Feldman, Syracuse University student and teacher; Patricia Lampron, principal, Henderson School, Dorchester, Mass. ; and Jamaal Shaheed, whose son Naieer, a high school student at Henderson, is featured in the film. We know that’s not giving you a ton of notice, but it’s better than nothing. We caught up with Habib last week to ask him some questions about this film, and about making movies in general. Can you tell us a little about your new documentary? This whole film began through my own experience of having a child with a disability – he uses a wheelchair, goes to Concord High. We still encounter people who don’t know him who encounter him and assume he’s not intelligent because he uses a wheelchair. There’s this perception that if you have any kind of disability, you’re not as intelligent, and that’s a huge barrier for people with disabilities when it comes to going to school, going to college or entering the workforce. Part of the film looks at the incredibly destructive history of intelligence testing in this country, starting in the 1900s, the mass institutionalization of thousands of people. So Chris Cooper, the actor, is narrating all the historical portions of the film. His son Jesse, who passed away at 17, had a disability. Micah is actually coming down for this event from Syracuse, and Naieer is expected to be there with his father and the principal of his school. Micah is a 30-year-old man who’s co-teaching classes at Syracuse and was taking classes. He has a vibrant circle of friends. He was given an IQ of 40 as kid, and 40 is considered – I’ll put it this way, 20-30 years ago, someone with that IQ would have been completely segregated, probably not able to attend school. Would have been told to put him in an institution. It’s possible it would have been recommended he be sterilized. Only about 40 percent of students with the label of intellectual disability will graduate with a diploma, in New Hampshire and nationally. Only about 24 percent of adults with disabilities are employed. As my son Samuel gets older – he’s 16 now – I’ve found my filmmaking trending more to slightly older individuals. He inspired me to look at, who are those falling farthest behind in terms of opportunities in society? I’m always trying to shine a spotlight on issues that need to be discussed. I showed the preview last week to Leadership NH, the BIA, New Hampshire Association of Special Ed administrators, and I’m showing it to a school of psychologists Friday. This is resonating in the field of education and employment. It’s also great to see it resonate with the general public. We understand that intelligence really can’t be measured. There are so many ways people can show their capacity, but we still stick to these archaic methods of measuring intelligence. It’s dangerous, because once you have that number attached to you, it stays with you your whole life. Expectations are quite low when the number is low. So I hope the event on Wednesday and the film in general really challenges people to understand that intelligence really can’t be measured. Three are too many ways people can exhibit intelligence that are not measureable. What’s your experience working with people with intellectual disabilities? I haven’t worked, but I have a lot of friends who have a variety of disabilities, and I’ve done a lot of documentary work by now. I do serve on the President’s Committee for People with Intellectual Disabilities, appointed by Obama 2014. I go to Washington once a quarter to work to advise the president and federal departments on policies focusing on people with disabilities. That other part of my work life is a lot of federal policy. Actually, Micah, he’s also on that committee. I knew him before that, but we’ve gotten to know each other better. What was the research process like for this film? There’s two pieces. 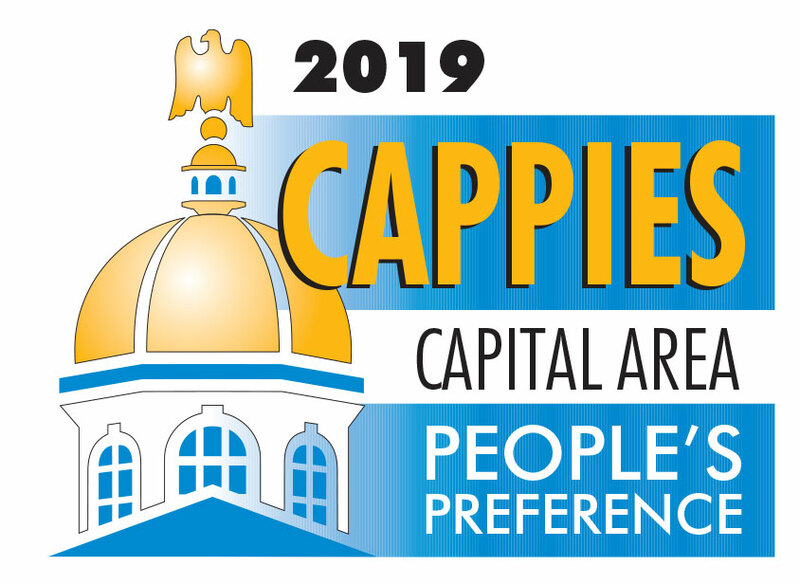 One is researching the topic itself, so I rely on dozens and dozens of experts in New Hampshire and nationally to help me understand the topic. I really delve into the topic and try to understand, where do these barriers exist, and why do they exist? And then I start to just network like crazy to try and find what I would call the perfect subjects for the film. People that illustrate this topic in a very compelling way. That’s how I found Micah, Naieer in Boston. I’m searching for a third person for the film who will be in the employment realm. Pretty much all of my films – this will be my third feature-length documentary. I also did Who cares about Kelsey? Both (it and Including Samuel) were nationally broadcast on public TV. Kelsey deals with students with behavioral issues. I’ve done about 20 short films too related to the topic. Most also deal with issues around education. If people want to see a quick survey of all my films, check danhabibfilms.org. What can people expect to talk about at the screening? I’ll be introducing the film preview and the issues that I’m covering, showing the 14-minute preview, and then they’re going to hear from Micah about how he advocated his way out of special education as an elementary school student, and how he got all the way to college. They’ll hear from the principal of the Henderson school in Boston, which is one of the most inclusive schools in the country. They’ll hear from the father of Naieer. Issues will range widely from, what does it take to include students with all kinds of disabilities in general education, why do we have such a narrow perception of intelligence and how can we broaden that, what’s it going to take to create more employment opportunities, and generally, how can we see every single person’s capacity and value to participate in society. When do you expect the full-length film to be finished? Fall of 2017 is what I’m looking at. So we’re about a year and a half away from being finished. I’m also working on a companion documentary that’s looking at students with disabilities transitioning from high school to college or a career. Then I also design a big educational outreach campaign with all my films, so I’m working on that as well. I don’t make films just to get them on TV or to film festivals, I make them to create social change, honestly. Do you think the full-length film will make an appearance at Red River? I do expect to do it there. Definitely do a run at Red River. The landscape is changing so fast for the way people consume film, so I haven’t made the decision on how we’re going to broadcast it. I want to continue to study the media landscape to see the best way to reach people. It’s possible to end up on something like Netflix or Amazon. There’s huge opportunity for self-distribution too, where you can have direct connection between consumer and filmer. Will also do a discussion with the screening. We’ll do a lot of them. More information is at danhabibfilms.org. If they want to know more about the project as it evolves, they can go to the Facebook group or go to the film’s website, intelligentlives.org. Any other details about the screening? There’s a $10 ticket charge for the event. Screening and discussion will take place from 5 to 6:30 p.m. Wednesday at Red River. From 6:30 to 7 there’ll be a reception that everyone is welcome to come to.